NISSAN CERTIFIED!! 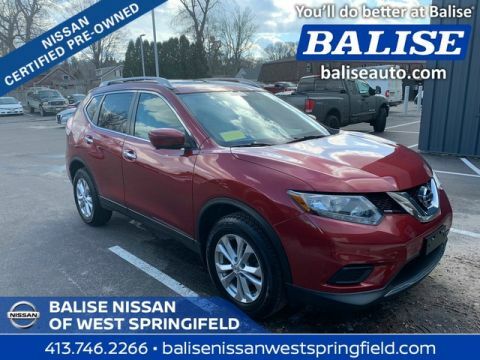 HEATED CLOTH SEATS, BLUETOOTH AND BACK UP CAMERA! 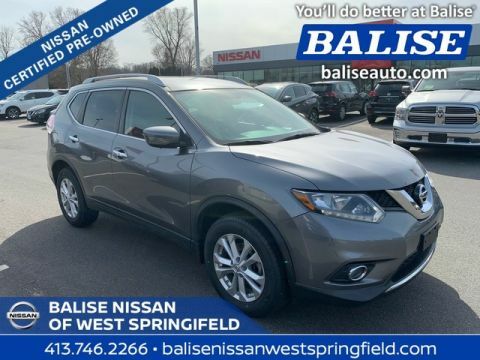 THIS CLEAN 1 OWNER ROGUE IS FULLY RECONDITIONED BY THE FACTORY TRAINED TECHNICIANS AT BALISE NISSAN. AS ALWAYS, PRICED TO TAKE THE STRESS OUT OF HAGGLING. 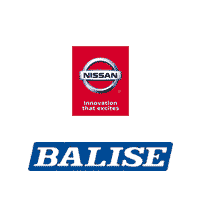 YOU'LL DO BETTER AT BALISE! THIS CERTIFIED PRICE REFLECTS $450 NMAC REBATE. CERTIFIED BENEFITS: 24 Hour Emergency Roadside Assistance, Towing Assistance, Trip Interruption Benefits, 3-month free subscription to Sirius XM Satellite Radio on properly equipped vehicles, Complimentary CARFAX Vehicle History Report and 3-Year CARFAX Buy Back Guarantee Limited Warranty 7-year/100,000-mile powertrain warranty Financing is available, and all trade-ins and all current leased vehicles are welcome. 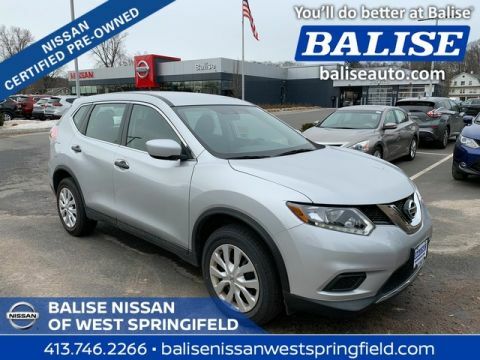 At Balise Nissan, we've made great pricing available to everyone, so shop with confidence, don't overpay and get a great deal at Balise Nissan. Full tank of gas included. 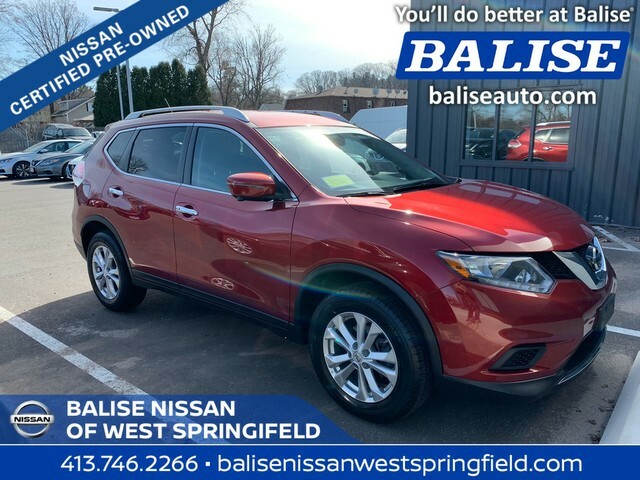 Call us at 413-746-2266 to check availability and schedule a test drive.